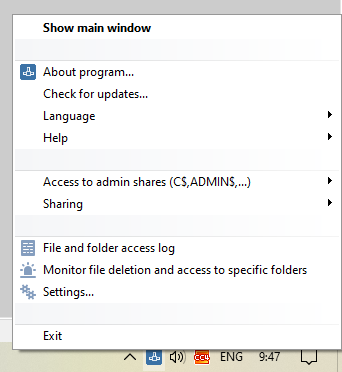 After starting, the program hides to the system tray. 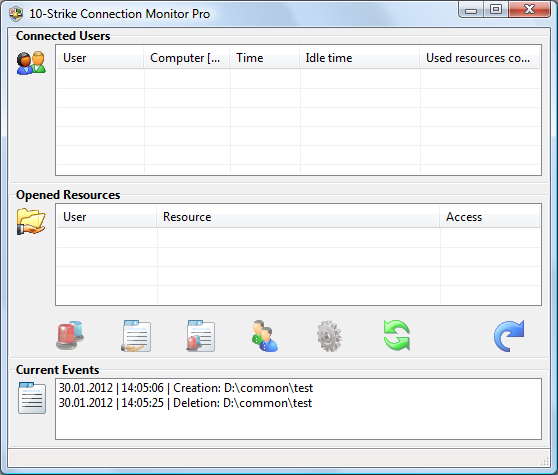 It monitors access to your shared folders and notifies you with a balloon hint in the system tray, or a message window, or a sound alarm when someone accesses to the shared folders. 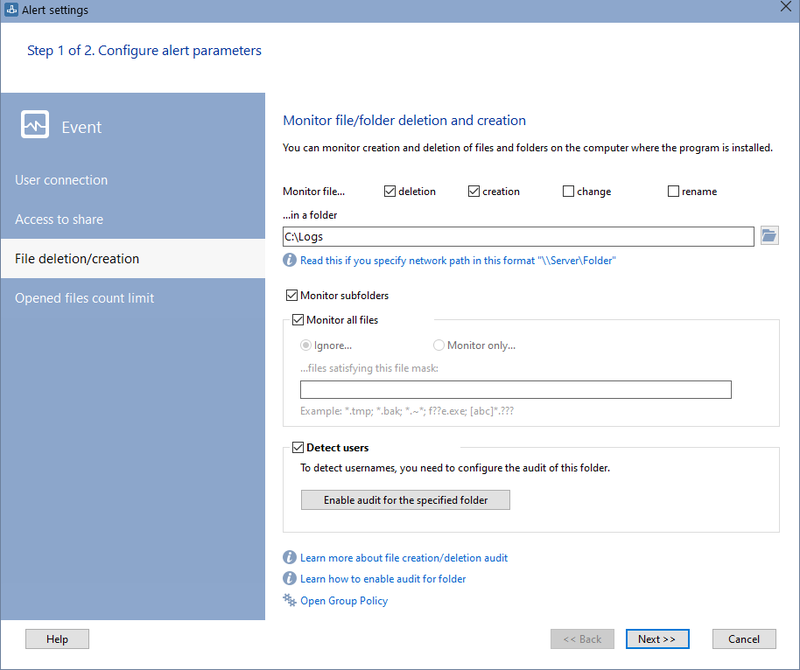 With its help, you can bring up the main window, open or close access to your shared folders with a couple of clicks, configure alerts, see access logs, etc. Watch who opens your shared folders and files in a real-time. 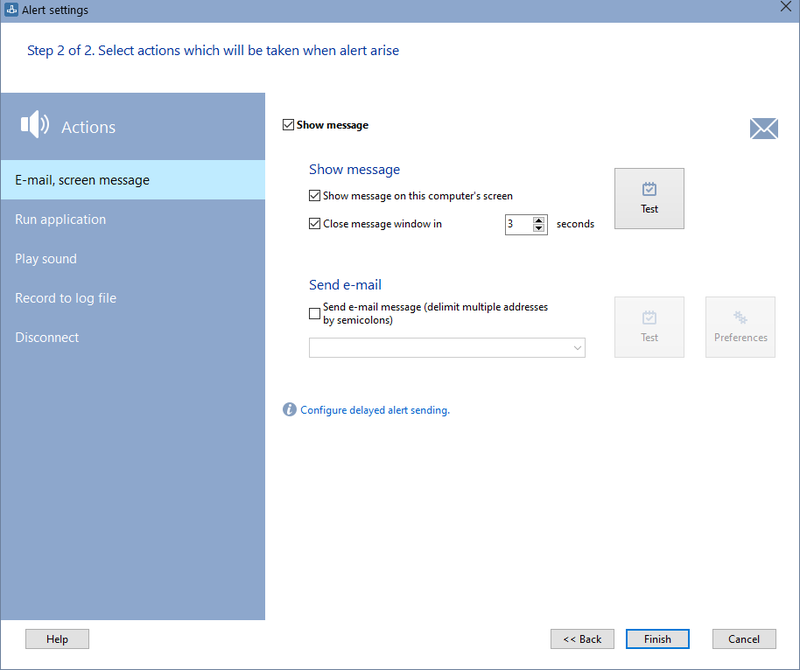 You can configure e-mail, sound, and screen notifications on user connections to your shared folders and files. 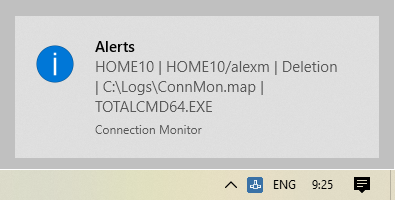 You can even start external applications when an alert arise.